Dr. Brittany Bell believes strongly in the need for universities to provide support to help first-year students in the often anxiety-filled transition to college life. The reward is seeing them come back for a second year. For students from underrepresented backgrounds, that transition to college can be fraught with even more potential bumps in the road. In her new role as assistant dean of students and director of the Diversity and Intercultural Center at Lawrence University, Bell is putting new focus on smoothing the edges for students making that transition. Bell began her new duties in mid-January, coming to Lawrence after six and half years on the staff at St. Norbert College, where she served as assistant director of multicultural student services and then student success librarian. At St. Norbert, she was involved in improving first- and second-year student persistence rates, developing programs that help with the college adjustment and increase the likelihood of a student returning for their sophomore year. “I’ve done a lot of research in first- and second-year persistence and in student success, so being able to … put something like that into practice was something I knew I could do here,” Bell said. Lawrence launched its Leadership and Mentoring Program (LAMP) several years ago to provide that added assist to students from underrepresented backgrounds. Much of that has focused on the social end of college life, Bell said. She’s looking to expand the program with new emphasis on the academic side, improving interaction with faculty and staff and nurturing leadership skills. Bell said having a background that has included both academic programming and student life administration gives her insight into navigating both sides of the student experience. If one side of the equation is out of sync, the student will struggle. “I can see how they connect to their academics but I also can see how they need to connect to student services,” she said. Bell has been impressed with what she’s seen so far of the students utilizing the Diversity and Intercultural Center, located on the first floor of Memorial Hall. The Rev. Linda Morgan-Clement, Lawrence’s Julie Esch Hurvis Dean of Spiritual and Religious Life, led the search to fill the assistant dean position. She said Bell’s work involving a variety of student experiences was impressive. 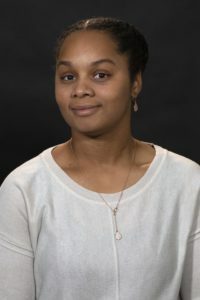 Bell, who has a bachelor’s degree from the University of Wisconsin-Whitewater, a master’s from the University of Nebraska at Kearney and a doctorate from Edgewood College, previously worked in student life positions at Kearney and then Carroll University before joining St. Norbert in 2012. She had her eye on Lawrence long before January. “I had been connecting with Lawrence quite often through my other role with multicultural students at St. Norbert,” she said. “I knew a lot about Lawrence University and I knew all about the programs here and I knew that if I ever was going to continue on in student services that a position like this would be something that would be appealing. Off campus, Bell is on a mission to serve. She and her partner, Chris, and their two children, own and operate an apparel line called God’s Purpose Apparel, creating and selling clothing featuring inspirational messages such as “I dream big,” Love thy neighbor” and “Blessed.” Much of their apparel is sold through their web site, godspurposeapparel.com, but they also set up shop occasionally at vendor fairs and other nearby events. They spin that apparel venture into regular volunteer gigs at Green Bay area homeless shelters, donating time, some of the proceeds from sales and even some of the apparel. They run a weekly Alpha Group at St. John’s Homeless Shelter in Green Bay, providing a meal and engaging visitors to the shelter with discussions of faith and life. Lessons learned during nights at the shelter provide interesting insights to her work on campus, Bell said.